What can be said that hasn’t already been said about these two albums? 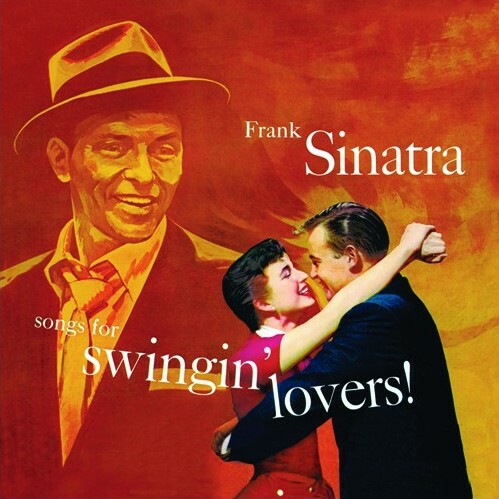 In the Wee Small Hours is Sinatra’s melancholic post-Ava Gardner break up confessional; and Songs for Swinging Lovers is very definitely Sinatra back behind the driving wheel with someone other than Gardner in the passenger seat. A.A. Gill called Lovers “the sexiest record ever made”. Both albums feature in Time Magazine 100 Best Albums of All Time. Whilst you may take such accolades with a pinch of salt there is no doubting that these are two of the finest albums recorded by Sinatra in his long career and the claims made for Lovers in particular live up to their hyperbole. The albums also remind listeners of what a fabulous partnership Sinatra had with Nelson Riddle, whose orchestrations are simply outstanding; for me, beyond comparison. What is not to like about songs such as “In the Wee Small Hours of the Morning”, “I Get Along Without You Very Well”, “You Make Me Feel So Young”, “I’ve Got You Under My Skin” and “Makin’ Whoopee”, amongst many other classics? I am, however, cautious about the merit of reissuing such landmark albums when the originals are so easily sourced. Both albums can be obtained on CD for as little as £0.99 on eBay. Nevertheless, each of these contains a well-written and extended set of liner notes by Andrew Stone (as well as the originals) and extensive bonus tracks. But as these tracks were never intended to be released on the album by Sinatra and his record company (in fact many had not been recorded), it is a moot point as to whether so-called “bonus” tracks complement or dilute the original track selection. To be fair to Essential Jazz Classics, the bonus tracks actually chosen (19 across both albums) are generally sympathetic and mostly complimentary. Tracks such as “Stormy Weather”, “Young at Heart”, “Chicago” and “I Love Paris” should upset no one. I could have done without them, such are the strengths of the original albums, but I accept that there has to be a unique selling point for the market to take interest. Regarding sound quality, the old analogue versus digital argument raises its head. As the original “mother-tape” or final mix was analogue, my guess is that vinyl would have the edge when it comes to sound. Sadly, I didn’t get the chance to compare and the 24-bit remastering of both albums has been done well enough. Overall, there is probably enough in these reissues with booklet and bonus tracks to attract a whole new audience to some of the greatest popular music of the 20th century. Sinatra (v); Nelson Riddle Orchestra. Hollywood, USA, May 1953 – May 1959. Sinatra (v); Nelson Riddle Orchestra. Hollywood, USA, April 1953 – April 1960. "...no doubting that these are two of the finest albums recorded by Sinatra in his long career".